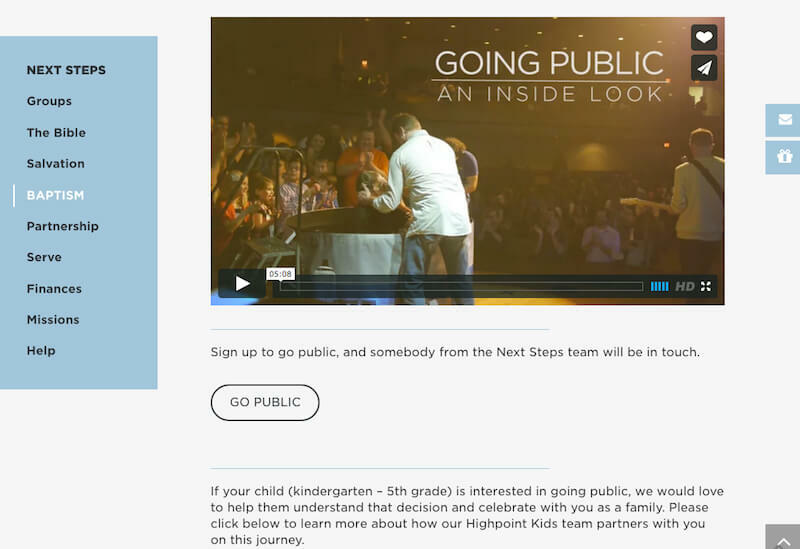 Highpoint Church is a growing church in Memphis and its surrounding suburbs, striving to be “A Perfect Place for Imperfect People.” Highpoint has been a long-standing client of ours and their recent website redesign project had three primary goals: engage new visitors and show the engaging work of its ministry, emphasize live streaming services, and improve the mobile user experience. 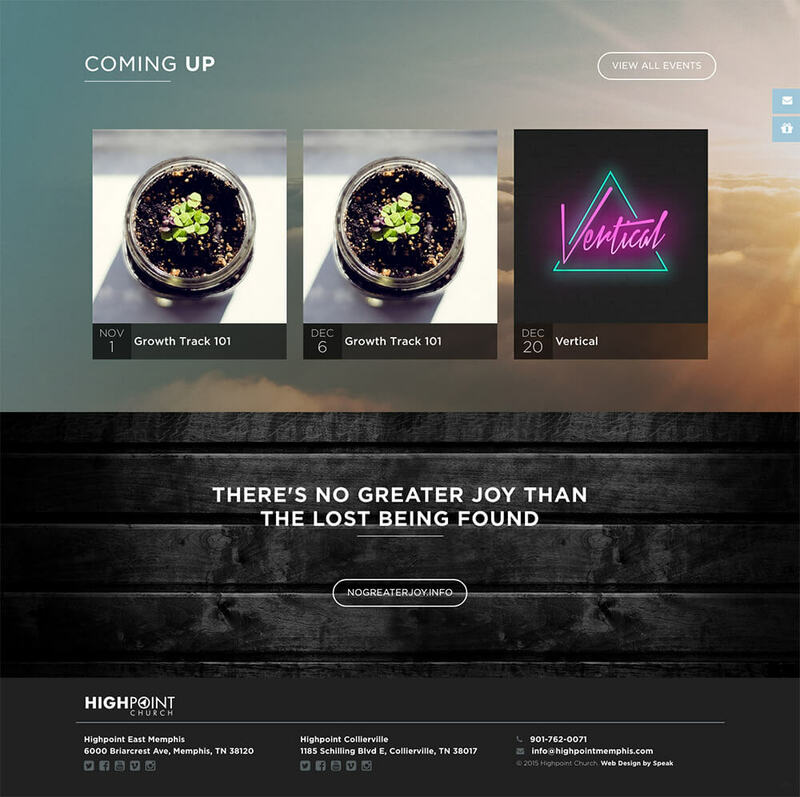 Highpoint uses video, captivating photography, testimonies and featured blog posts to create an engaging homepage that welcomes users and makes them feel at home. The warmth of the in-person visit reaches through to the online experience as well. The site redesign and app update for Highpoint has been a fantastic tool allowing them to more effectively reach the Memphis community. Their congregation is growing weekly as they share the Gospel both in person and online. Highpoint Church celebrates a believer's baptism with a pool of water center-stage, friends and family standing to surround him or her and a loud chorus of amens raised during worship. The testimonials of how God has changed hearts are moving, joyful reminders of the great love story. These videos are featured prominently on both the website and the church's mobile app, allowing church-goers, friends and family to watch and share Going Public stories easily.